While today it more generally celebrates Hispanic prowess and pride, it is surprising (to me at least) that Cinco de Mayo has thrived into such a large holiday. I say that because of its historical background. Cinco de Mayo is not Mexico’s independence day. The victory in battle it represents is largely a pride thing, since it merely slowed down the ‘conquest’ of Mexico. And yet here I am today listening to fire crackers pop outside my apartment, more than 700 miles from that battle site. 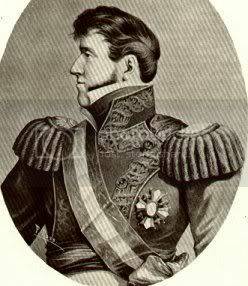 The battle was part of the French intervention in Mexico, which is itself just a weird period of Mexican history. When Mexico finally achieved independence, there were many, including the most prominent general/first Emperor of Mexico, who wanted a European monarch to come over and govern Mexico. The early history of Mexico is a jumble. All we need to say is that by the 1860s Mexico is a republic. 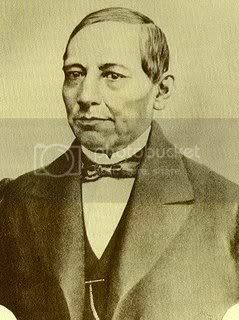 The French “intervention” in Mexico was spurned, in name at least, by President Benito Juarez’s decision to stop loan payments to the major European powers. But it was supported by conservatives who still dreamed of a European monarch for Mexico. Apparently all those ‘liberal’ ideas from their northern neighbors hadn’t quite taken. Cinco de Mayo celebrates the May 5, 1862 victory by Mexican forces over the newly arrived French army in the Battle of Puebla. The date of the battle was declared a national holiday by President Juarez just months after it occured…which is where Cinco de Mayo begins. Funny thing is, by 1864 Juarez is in exile, the French, for all intents and purposes, control Mexico and Maximillian I (a Hapsburg) is declared Emperor. So the Battle of Puebla merely delayed French success (Maximillian is overthrown by Mexican forces in 1867…so the “success” is short lived). In anycase, hopefully that explains to what you should be toasting your Corona to. Happy Cinco de Mayo!